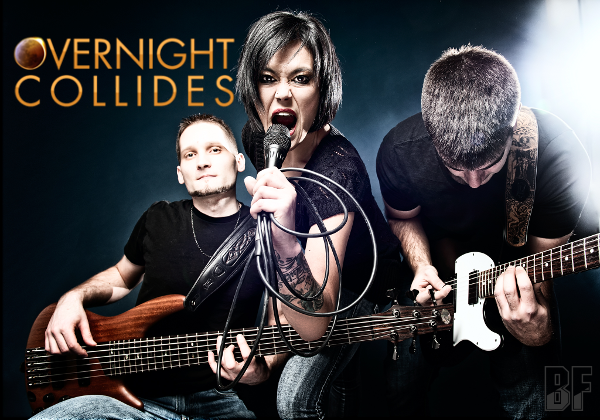 OVERNIGHT COLLIDES is a Hard Rock trio with a captivating sound based in their Nation's Capital Ottawa, Ontario (CANADA). The band has just released their self-titled debut EP on April 12th 2014. Overnight Collides teamed up with producer Brian Lanese (from US band Permanent Ability) who is a three time Emmy Award Winner and recent Grammy Nominee to create their debut record. Brian Lanese sings, writes, and produces all the music and lyrics for the band. Musically they are offering an addicting melody, booming voice and unforgettable rock music. It's not so hard music that a fan of all rock genres can enjoy it. 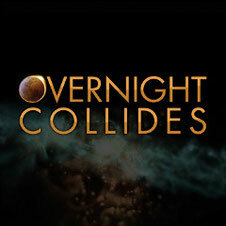 OVERNIGHT COLLIDES will have a CD release party at Avant-Garde on May 3rd.